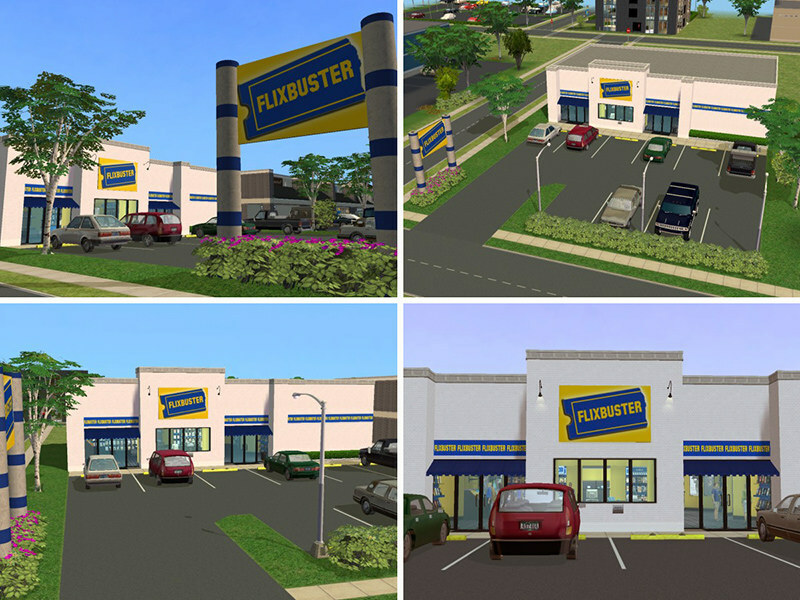 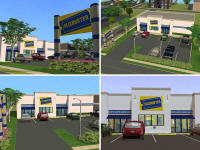 Flixbuster is a business based on the popular DVD rental chain stores. 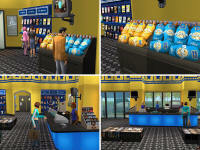 The lot features 36 recolors of Retail Sims EB Game Rack to look like DVD shelves. 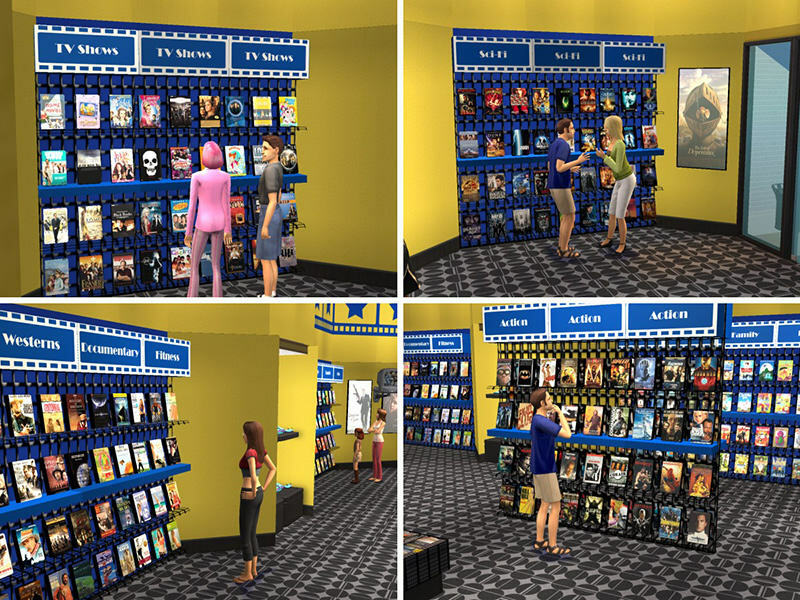 The movies have been categorized by typical genres such as Action, Drama, Romance, Thriller, etc. 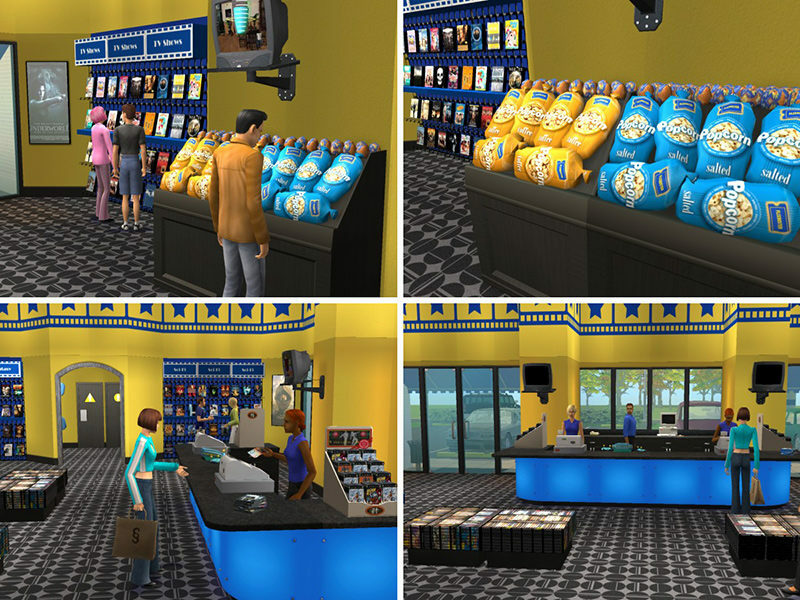 While the movie shelves are only decorative items, Sims can still purchase game systems or groceries from the recolored popcorn food bins. 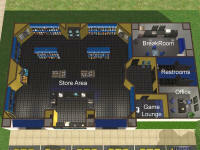 The lot also includes a Game Lounge for customers to test games, Employee Break Room, Manager's Office and Restrooms.